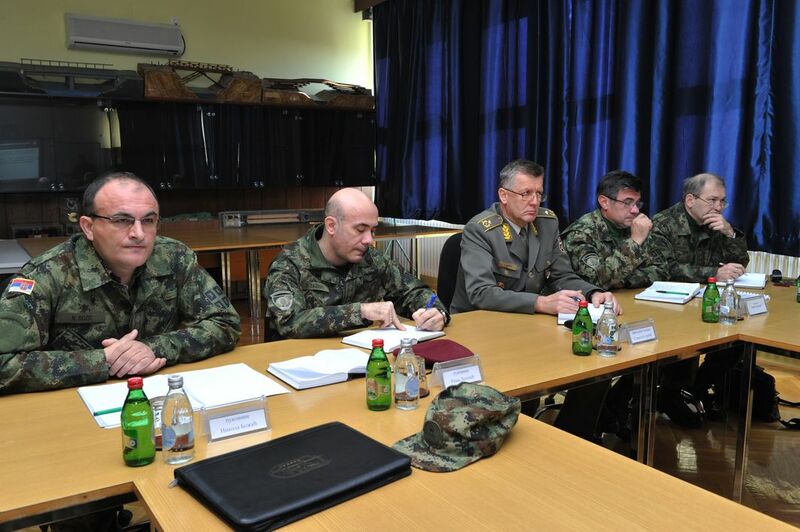 The MIA’s Director Brigadier General Slavojub Dabic has greeted the reserve officers of the Serbian Armed Forces who attended the course and thanked them for their professional and patriotic attitude towards this obligation and invited them to put all their efforts in mastering the course program. Besides, the Brigadier General Dabic called the course instructors to do their best in order to help course attendees. At the end of his speech the, the director of the MIA shortly informed all the participants in this event about political and security situation in the region.